Bloody Elbow has all the details on Vasiliy Lomachenko vs. Anthony Crolla right here, including fight card, fight time, live stream info, results, and more. Lomachenko unified two of the four major titles last December when he bested WBO champion Jose Pedraza by unanimous decision. The two-time Olympic gold medalist started 2018 by stopping Jorge Linares to capture the WBA strap, and he has visions of becoming an undisputed champ. In the meantime, he has a mandatory challenger to take care of in the form of Crolla. The native of Manchester, England became world champion in 2015, defended the belt one time, then lost to Jorge Linares twice. He’s built his way back up the rankings and clinched a title shot with a victory over Daud Yordan, his third in a row. That said, Crolla is nowhere near Lomachenko’s league, and if he does somehow beat Vasiliy, it’d be one of the biggest upsets in boxing history. 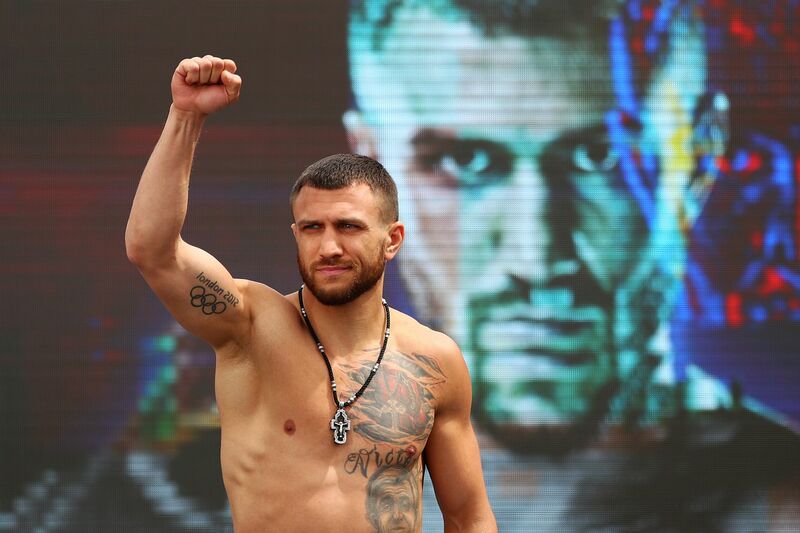 Alas, who doesn’t want to watch Lomachenko fight? On that note, Bloody Elbow is here to provide you full coverage of Lomachenko vs. Crolla. Here are the basic details on who’s fighting on Friday night, how you can watch the card, where you can catch a live stream, and more. Fight time: The main broadcast starts at 11 PM ET/8 PM PT, with the preliminaries at 8 PM ET/5 PM PT. Lomachenko and Crolla are expected to walk into the ring by 12 AM ET/9 PM PT. TV Network: Sky Sports Main Event will have the card at 3 AM local time. TSN1 has it in Canada at 11 PM ET/8 PM PT. Live stream: For United States viewers, the entire broadcast streams live on ESPN+ at 8 PM ET/5 PM PT. The preliminary card is streamed here, followed by the main card here. Sky Sports subscribers can click here to find out how they can watch online. Likewise for TSN subscribers in Canada.